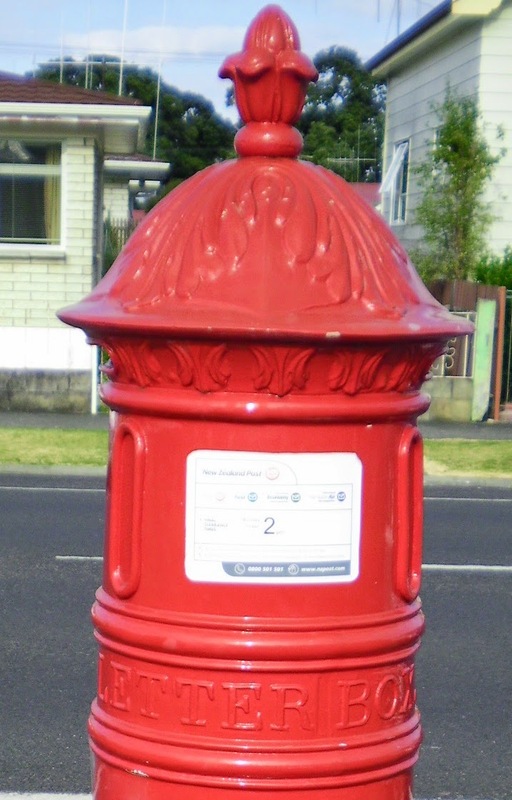 Street letter boxes or letter receivers as they were called were installed to provide an easy way to post letters. If the sender had purchased postal stamps, it saved them a long trek to the Shortland or Grahamstown Post Office branches...North or South Office as they were sometimes called. 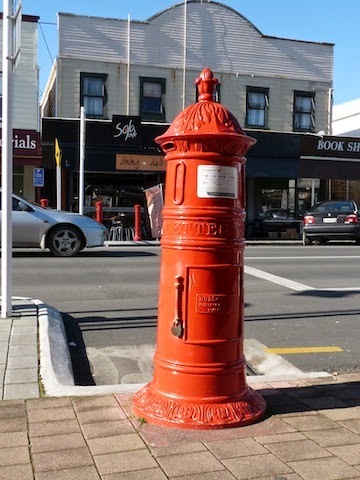 DESIGN: Thames (Shortland and Grahamstown) had the very distinctive red pillar boxes, that were used at several other locations in New Zealand. Thames residents had suggested the design that they had seen in Australia. "Based on the French design they 'had three vertical apertures placed near the top of the receiver, which was the height that a person on horseback could post a letter, without having to dismount. "(1) It is believed that the Thames boxes were designed and made based on the British model by J H Penfold. 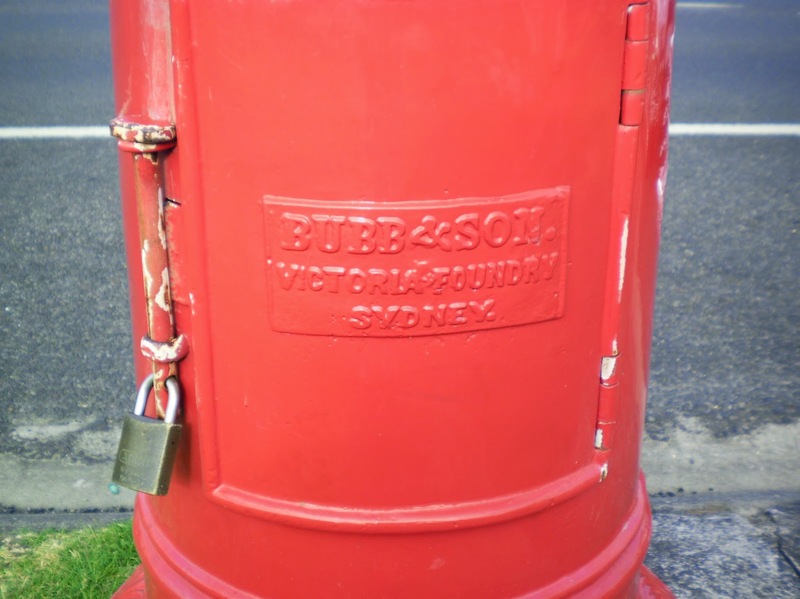 The Queen Street box has the maker's name as BUBB & SON, Victoria Foundry, Sydney. LOCATION: Over the years Thames had more than the three boxes that remain today. 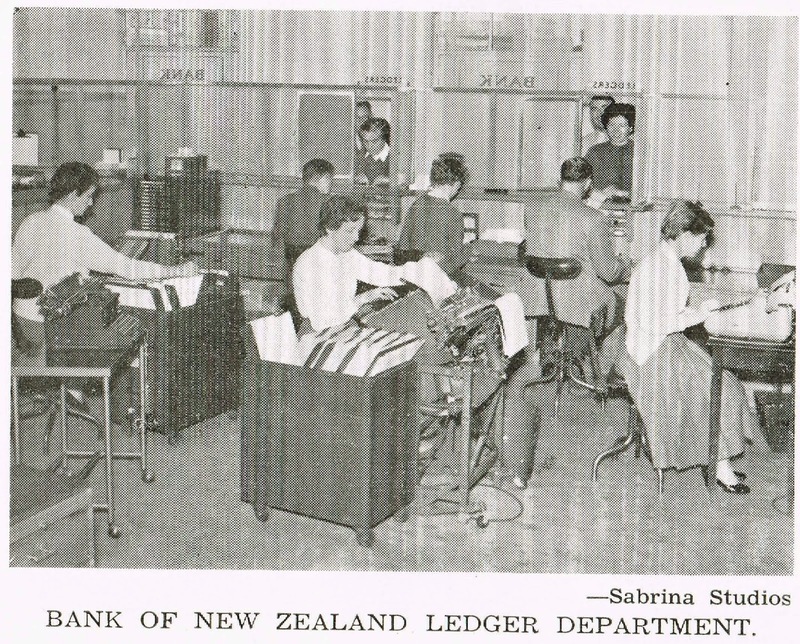 They were located at places such as: Owen Street, Mary Street, Willoughby Street, Shortland Railway Station, Fenton Street, Richmond Street, Kuranui, Tararu. The Pillar Boxes are mentioned in Thames newspapers from about 1880, and were occasionally moved to different locations. 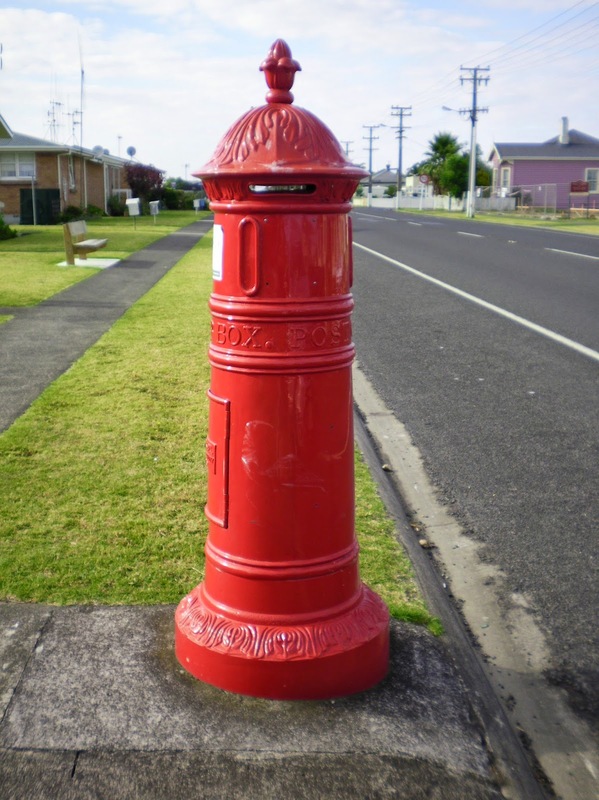 PRESENT DAY: Today three Red Pillar (Post) Boxes are in Thames and they have a Historic Place’s rating of Category 2. Their historic register numbers are: 717 (Pollen Street), 7242 (Cnr Mary & Pollen Streets) and 7244 (Queen Street). All these boxes have been moved over the years. Below left is the one by the Salvation Army Hall, at the Grahamstown end of Pollen Street. 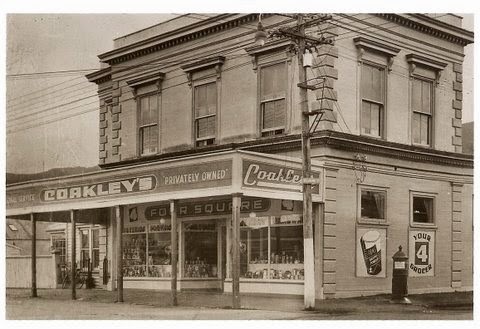 This was previously located on Willoughby Street, near the Pollen Street intersect - some will remember as Coakley's corner, with Coakley's Grocery Store on the north-east intersect. 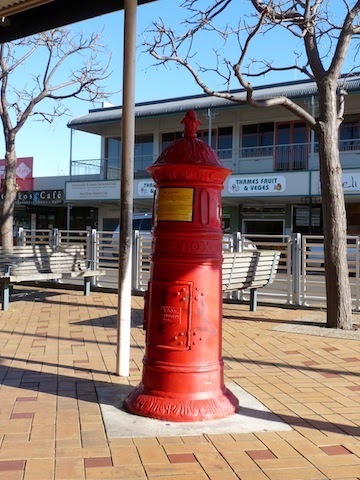 The third surviving Pillar Box is on Queen Street, near the location of the old Grahamstown Government Buildings. I can't see this box in early photographs, so at this stage speculate it is another that was moved from a previous location. Below are two views, on the left looking west, and on the right, looking south at the Pillar Box. CLOSING: The Pillar boxes are a small reminder of our rich past. The early settlers of The Thames were prolific letter writers, sending news back home to family in their country of origin. Having these letter boxes hand, would have been invaluable. 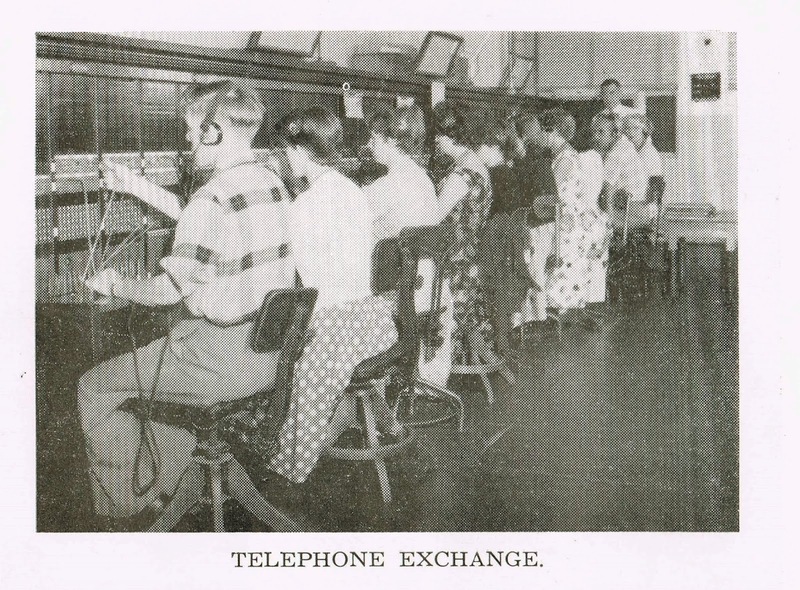 As the volume of mail decreases, let us hope that the boxes stay and remind us of the life before the internet! 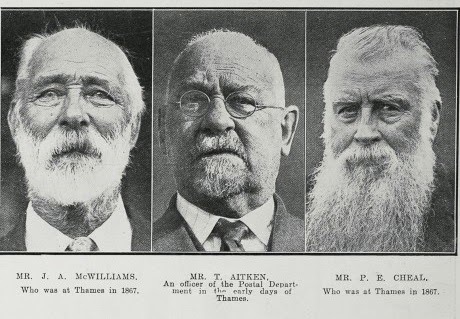 Over the years, the Thames Post and Telegraph Department has been an important employer in the town. 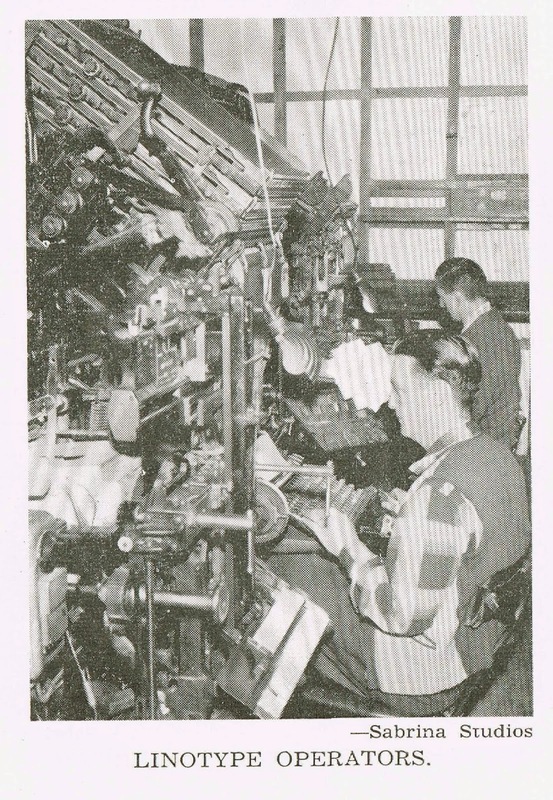 Many Thamesites started work in the Post Office, later going onto work in other towns and receive promotions around New Zealand. 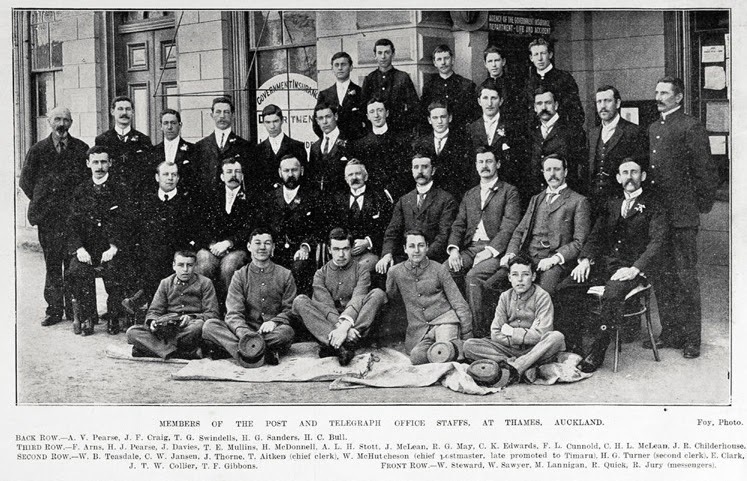 Below are the staff as at 1903, the photo taken outside the Post & Telegraph Office at Queen Street, Thames. The office was part of the Government building complex at the Grahamstown end of town. 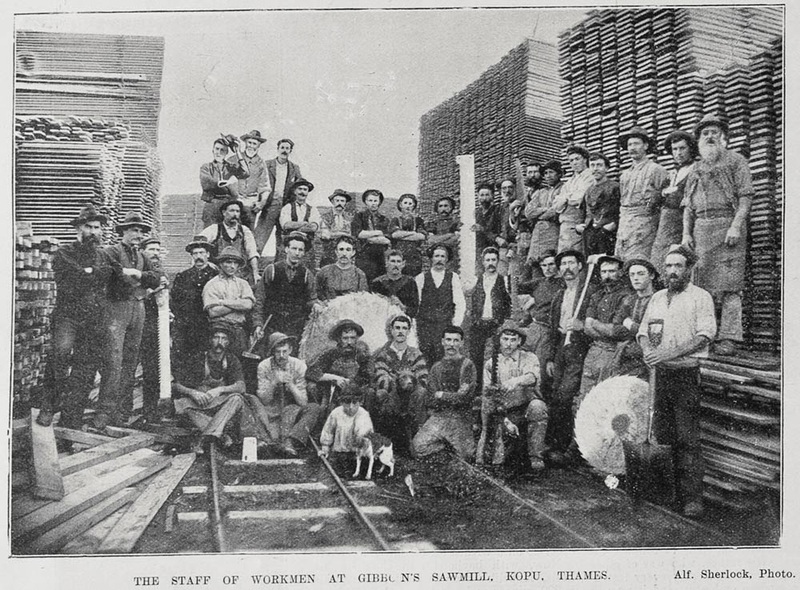 Thames has a strong tradition of Sawmills in the town and surrounding area. It took a lot of wood to build a town in a matter of months!!! Below are some photos of the Gibbon's Sawmill at Kopu. Built by "R.P. Gibbons, son of John Gibbons at Kopu, it was situated south of the Government wharf and backed on to the railway line." A fire destroyed the plant in January 1902, it was rebuilt and opened in the following April. " Robert Pearce Gibbons and his son Angus Newton Gibbons formed the firm Robert P. Gibbons Ltd on June 6th, 1906. 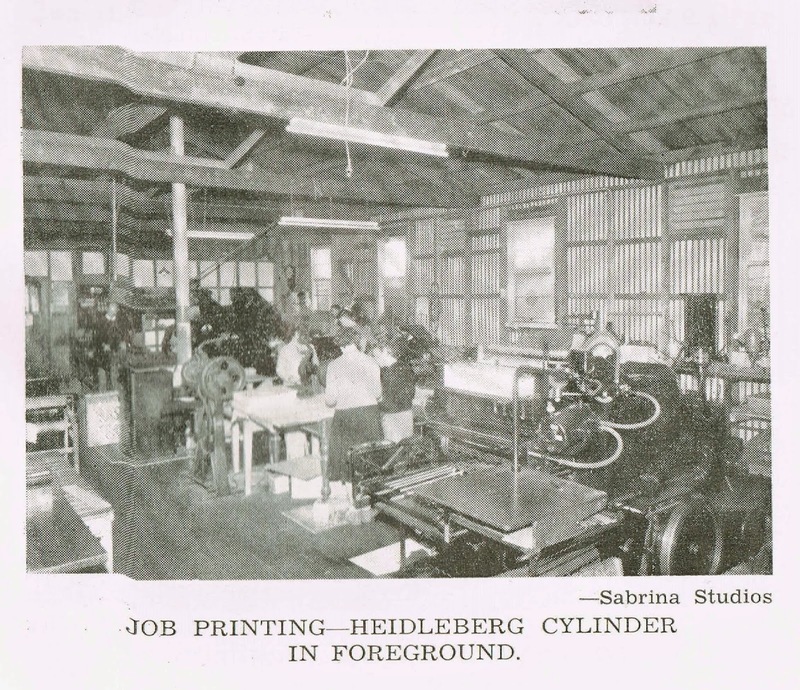 They had sawmills at Kaipara, Hokianga, Hikurangi and Kopu...The company wound up October 22nd, 1940." Description: 1901. Showing a view of the frontage at Gibbon's Sawmill, Kopu, Thames River, Auckland. The timber cut at this mill is all kahikatea (New Zealand white pine), which is unsurpassed for making butter cases, and which is largely used for this purpose in New Zealand. Large quantities have also been sent to Australia to supply the butter trade export there. CLICK HERE to WATCH THE VIDEO. Includes old photos & video of Thames and the Thames School of Mines. 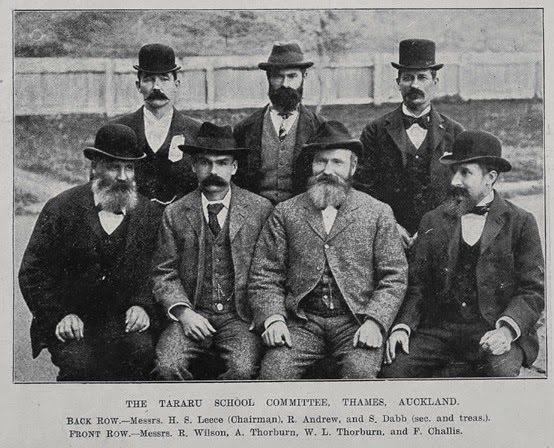 In 1900, Tararu school featured in the Auckland Weekly News 20 July 1900. The children, teachers and school committee appeared in the magazine. The photographs are below. Description: A GROUP OF TARARU (THAMES) SCHOOL CHILDREN TAKEN AT THE HOISTING OF THE FLAG CEREMONY. 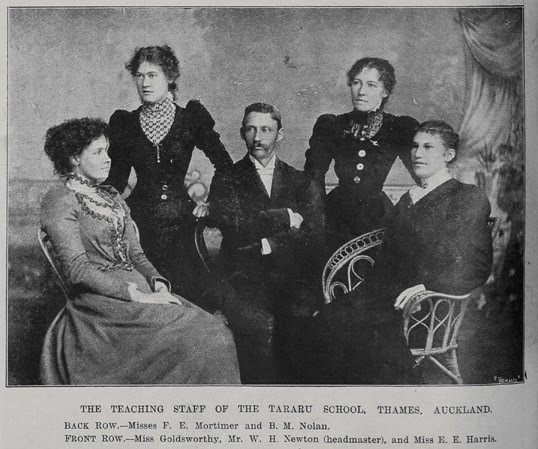 Description: THE TEACHING STAFF OF THE TARARU SCHOOL, THAMES, AUCKLAND. Back Row: Misses F E Mortimer, B M Nolan. Front Row: Miss Goldsworthy, Mr W H Newton (Headmaster) and Miss E E Harris. The Thames Star 10 September 1952, described Thames as the Yarmouth of the north. A successful fishing port, providing fish for as far away as Palmerston North. At that time there were 14 boats using Shortland Wharf as their base, and another three were based at Tararu Bay. Who can forget the days, well into the 1960s when the wharf would be lined three deep with fishing boats - as men jumped from one to another unloading their catch of the day. 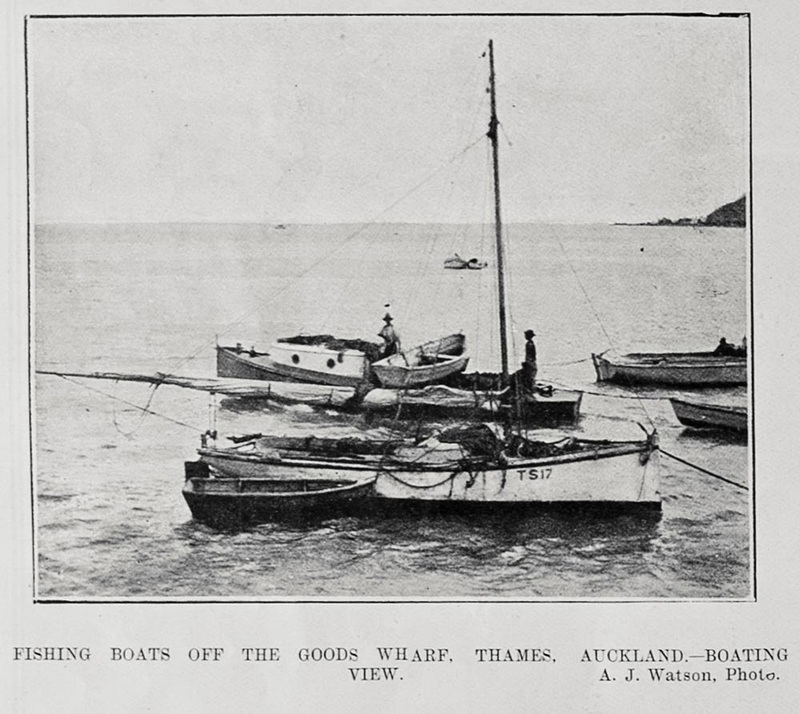 Thames fishermen featured often in papers and magazines such as the Auckland Weekly News. Below are a few of these photos, showing the fishermen at work - and how vital it was considered to the area. 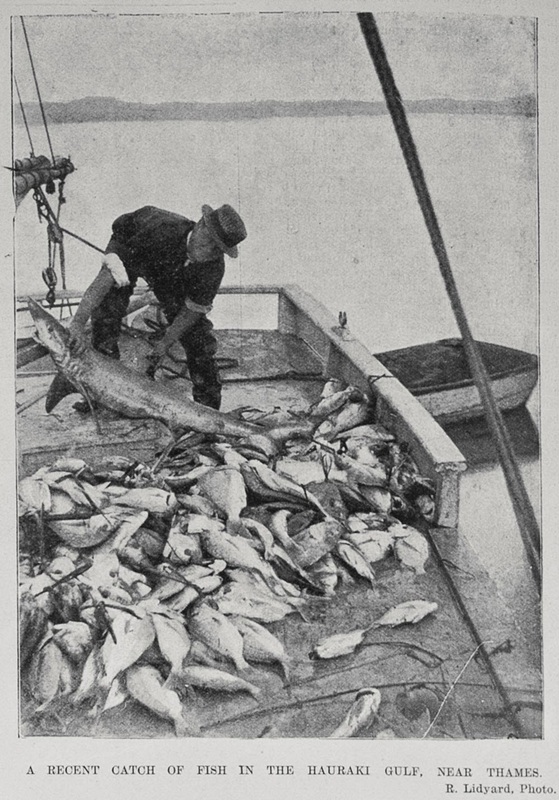 Description: Showing a recent catch of fish in the Hauraki gulf, near Thames. Description: NEW ZEALAND FISHING INDUSTRY: THAMES FISHERMEN USING THE SEINE NET SYSTEM OFF THE COAST OF COROMANDEL. AUCKLAND. 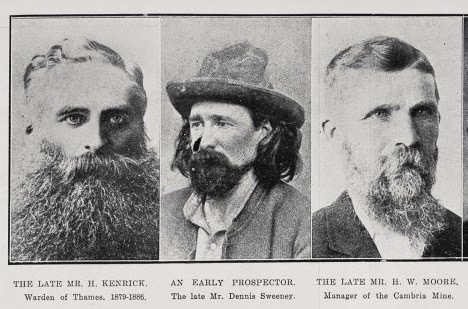 One miner who had his life and his families seriously affected by an accident was Thames Pioneer, Mr John BICE. 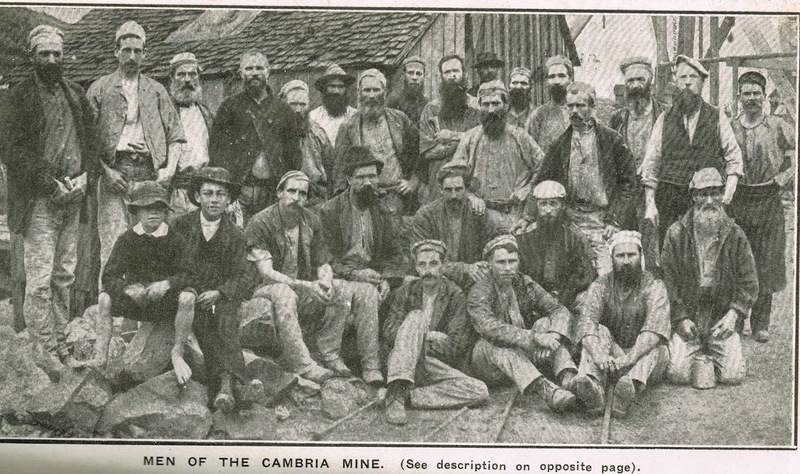 Mr Bice was a well known miner at Thames, and his name is mentioned often in the papers on mining related matters. 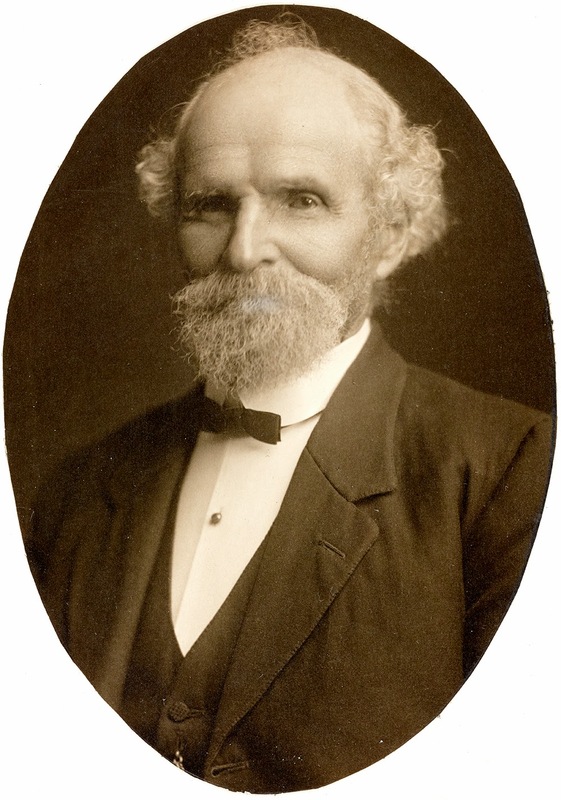 John Bice was born in Cornwall in 1846. Bice arrived in Thames in 1869 from South Australia. When he arrived all the hotels were full, so he had to stay at Smale's building for three weeks, until he built a house at Irishtown. In 1885, he was living in Edwards Street, Block 27, when his wife Emeline Jane (nee Pascoe) Bice died 30 April 1885. He was involved in a serious accident at the May Queen Mine on 8 May 1893. As a result of an explosion he lost his sight in both eyes. A set of events while lighting a charge of dynamite, meant that Mr Bice was caught by the blast as he went to relight the fuse. The paper mentioned that Bice was a widower, with five children to support and an elderly mother. The town rallied to help the Bice family, something the mining and general community were renown for. Mr Bice wrote to the Thames Star 7 August 1983, and mentioned that he was very grateful for the care he had received at Thames Hospital and that he had been in contact with the Blind Institution of Auckland (Thanks to the generosity of friends). A fund of 152 Pounds 8s 6d was raised for the Bice family - of which the trustees agreed to pay 10 Pounds per annum until the money was gone. Snippets from the Thames Star give us a glimpse of his life after the accident and show his determination to continue in the town. In 1896 Bice applied for and was granted a Rates remittance from the Thames County Council. 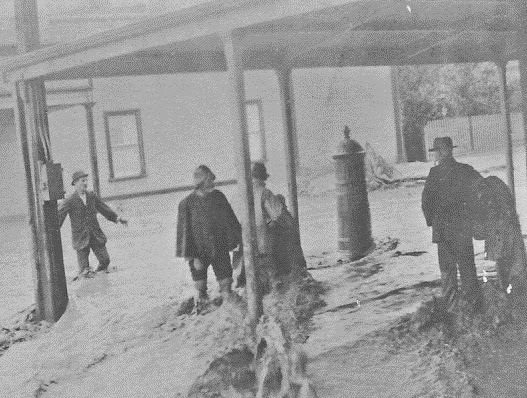 In 1897, along with fellow Edward Street resident Richard Johnson, Bice approached the Council for a few loads of gravel for the street, which was approved. On 26 August 1903, his mother Sarah Bice died at the family residence. A couple of months later in October, John's eldest son married at the Methodist Church, to Miss Jennie Pickering. In the New Zealand Herald 23 January 1923, Bice's memories of Thames and mining were published and gave an overview of his mining interests and what it was like to be a miner in the town. At the time of his 80th Birthday, John Bice was living in Onehunga. He recalled again for those present his memories of life in Thames and his terrible accident. (photo right) It was a special, special time for Mr Bice, as he was honoured with the presentation of a silver mounted walking stick. It had been subscribed and paid for by the mining staff of the Alburnia Gold Mining Company and old residents of the Thames. It was in recognition of the fact that he was a past shift boss in the old Alburnia. 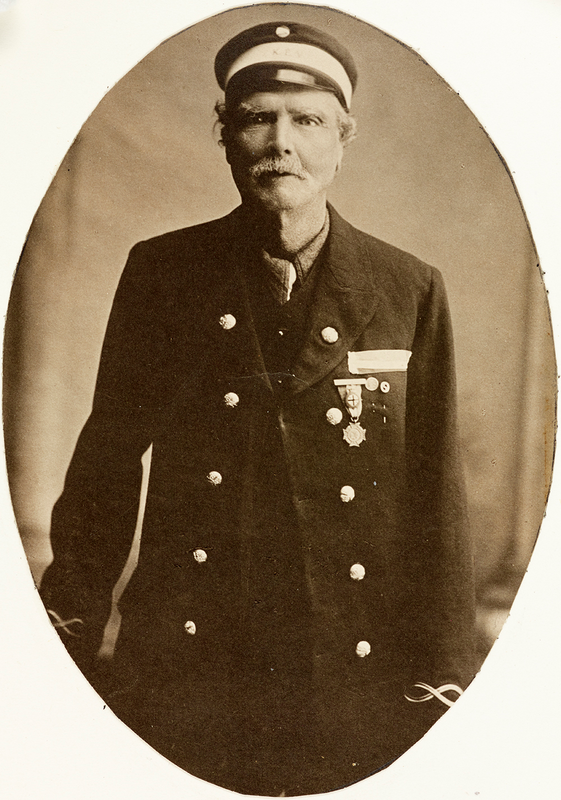 On 8 April 1928, John Bice died at Auckland Hospital aged 82 years. The Auckland papers contained several obituaries for this well known and respected miner - a true pioneer of The Thames. For more information on Mining Accidents at The Thames - the work of the late David Arbury is very comprehensive. Several of his booklets in the Thames Goldfield Information Series contain information on mining and accidents. These can be obtained from The Thames School of Mines and The Thames Historical Museum. David's notes are at The Treasury, along with a booklet "A Diary of Accidents" which was compiled from his notes. 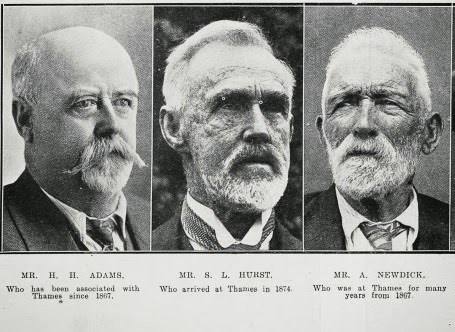 In preparation for the Thames 1927 reunion and Diamond Jubilee, the Auckland Weekly News published photos of Thames Pioneers. This included a small description of the man. The photographs are of: Messrs: H KENRICK, D SWEENEY, H W MOORE, G WARNE, J McENTEER, R ROSS, J BICE, G WHITE, G W BULL, J A McWILLIAMS, T AITKEN, P E CHEAL, H H ADAMS, S L HURST, A NEWDICK, R FARRELL, J DUGGAN and J C PELHAM. A different view of this iconic corner old Shortland. 1870s, the corner of Pollen & Mary Street (S-W intersect) is vacant. To the right in Mary Street is the Thames Gasworks. Below the site when the Methodist/Wesleyan Church was on the corner Pollen & Mary Streets. Below the Four Square Supermarket on the site of the old church. The Municipal Buildings on the first floor. Many businesses have occupied the ground floor over the years, today Stirling Sports is at 545 Pollen Street, Thames. We previously looked at the first time Thames got an AIRMAIL delivery of mail on 17 February 1920, a few years later another 'first' air event took place. 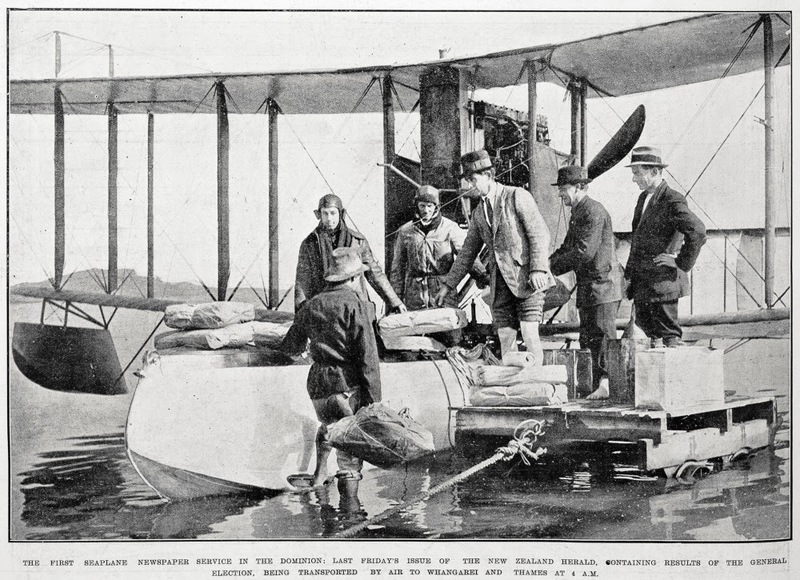 It was claimed this was the first air delivery of a newspaper in the Dominion (New Zealand). The reason for this special delivery was explained in the New Zealand Herald, 7 December 1922. "The Herald of to-morrow morning will contain full details of the elections and of the prohibition poll throughout New Zealand. On account of the intense interest in the news, a specially large issua will be printed in several editions. 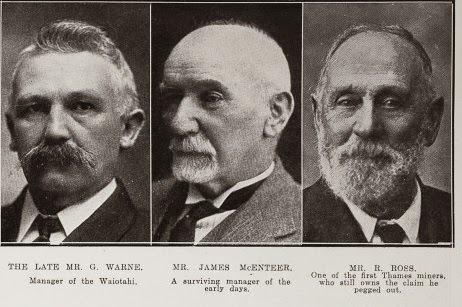 To assist in delivery to parts of the country not easily reached by train, road, or sea, the proprietors have arranged with Walsh Bros, and Dexter for the use of a seaplane, which will leave in the early morning and carry large supplies of the Herald to Thames and Whangarei. The air delivery at Thames will enable papers to be sent at an early hour by train to Paeroa, Te Aroha, and other places, and similar distribution will be possible from Whangarei. By this means, in addition to the usual methods of delivery, an exceptionally rapid distribution of election news is expected on Friday morning." 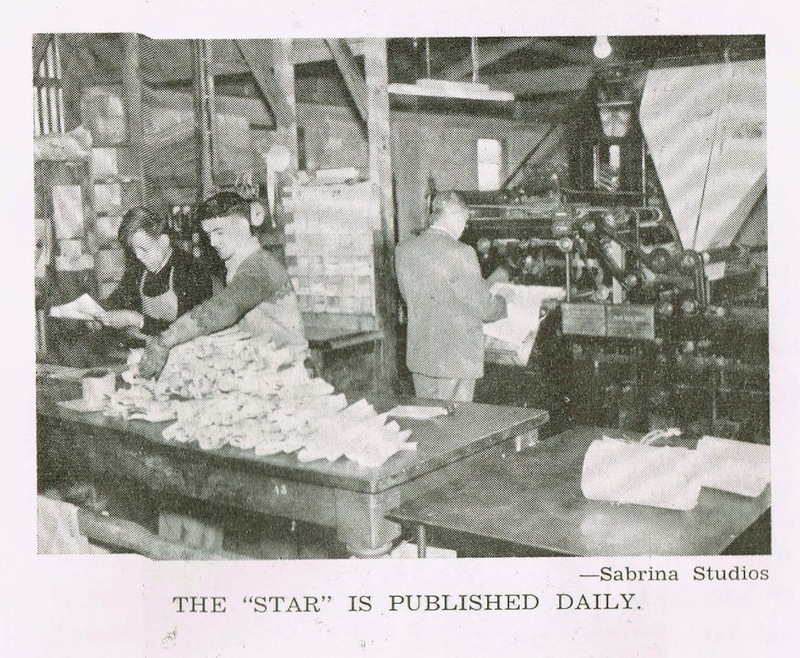 Full details of the delivery of the papers appeared in the New Zealand Herald 9 December 1922. The pilot Mr George Bolt had left the Kohimaramara Flying School at 3.50 am for Whangarei, dropping to the delight of farmers on the way a few copies of the paper! He left Onerahi at 5.27am and arrived back at Kohimaramara at 6.45am. A refuel of the pilot and plane and he was off again to Thames at .08am. He arrived near the Thames wharf at 7.49am. A fast trip of 45 miles in 41 minutes. The paper was inundated with telegrams from grateful readers!!! On page 11 of the above edition, the paper also published the above photo and one of the plane in flight. Some charming new photos have appeared in the latest uploads at Auckland Libraries Heritage Images. Enter KINGS EMPIRE in the search box and you will the collection of portraits of old Kings Empire Veterans. 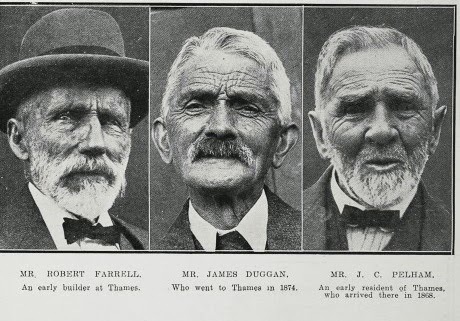 There are Thames men amongst these photos, also many more who do not have a photo as yet online. WHAT DID KING'S EMPIRE VETERAN MEAN? "In 1900, retired members of the Imperial and Colonial Forces formed the New Zealand Empire Veterans Association under the patronage of Lord Ranfurly. Members were issued with a bronze medal in the form of a Maltese cross surrounded by a wreath of laurel leaves, with NZEVA engraved in the centre. The medal was suspended by means of a red, white and blue ribbon, and was worn on the right side of the uniform. In 1910, the name of the association was changed to the King's Empire Veterans Association, and the letters in the centre of the cross were changed to KEV." Below are two Thamesites who are in the King's Empire Veterans Collection of Photographs. Remembered as the Captain, who for many years did the Thames to Auckland run. Captain Farquhar's skill was admired by all who travelled with him. Captain Farquhar died in 1918 and his wife Emma Jane Farquhar (nee Gibbons) died in 1931. Farquhar is not wearing a medal, but is in the collection. Right: Description 1/4 length portrait of Captain Alexander Farquhar. Mr Mills had arrived in Thames in 1874, and was a well known identity in Thames and the surrounding district. He was a loyal ex-member of the Royal Artillery, and tried to keep in close contact with several military people in England. A somewhat sad story of a man who had served his country then come to Thames, and was literally alone in the Dominion. In the Ohinemuri Gazette 5 October 1910, details of Fred's contact with England was printed. This was just one example of many where Mills had made contact with dignitaries in New Zealand and England. "Mr Fred Mills, veteran, of Thames, some time ago sent a letter to the Hon. W. Hall-Jones, High Commissioner for New Zealand, and enclosed a photo, for His Majesty King George. Mr Mills has now received the following reply to his letter Dear Mr Mills I have duly received your letter dated the 18th June, and much appreciate both your photograph, and your good wishes. I am sorry to learn that you are now without relations in the dominion, but you, as an old soldier, doubtless find much pleasure in recalling the many incidents of your eventful career. You may be sure that I am always glad to hear from my friends in New Zealand, You will be pleased to know that the second photograph you forwarded for the King has been duly sent to His Majesty, and I have received a letter from his secretary at Balmoral, where the King now is, informing me that your photograph has been laid before the King, and His Majesty desires me to convey to you his thanks for it. (Signed) Wm. Hall-Jones." On 22 November 1915, Fred Mills celebrated his 41st year in New Zealand. The report stated he had seen active service in the East Indies under Lord Roberts. In 1920, Fred sent photos of Thames to the Prince of Wales, he received a thank-you back from the Prince's secretary. So life went on, for a man who never forgot his connection and loyalty to England and the military. Mr Fred Mills died in 1928 and was interred at Shortland Cemetery, Thames - the grave unmarked. Just one of the many old Thamesites, all but forgotten. Left: Description 1/2 length portrait of Fred Mills. These are just two of the men from the photograph collection that have Thames connections - hunt for your relative and see if their photo is available. First the school had to get a flag staff. At the Waiotahi District School Committee monthly meeting reported in the Thames Star 14 July 1900, the committee heard that Mr Rodgers was donating a pole for the Waiokaraka School. Also that the Chairman would provide one for Waiotahi School. At the Waiokaraka School, the children posed by the flagstaff in separate photos for the boys and the girls. 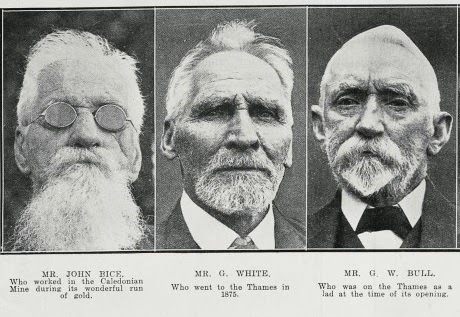 These photographs appeared in the Auckland Weekly News, which must have been a thrill for child and family alike! 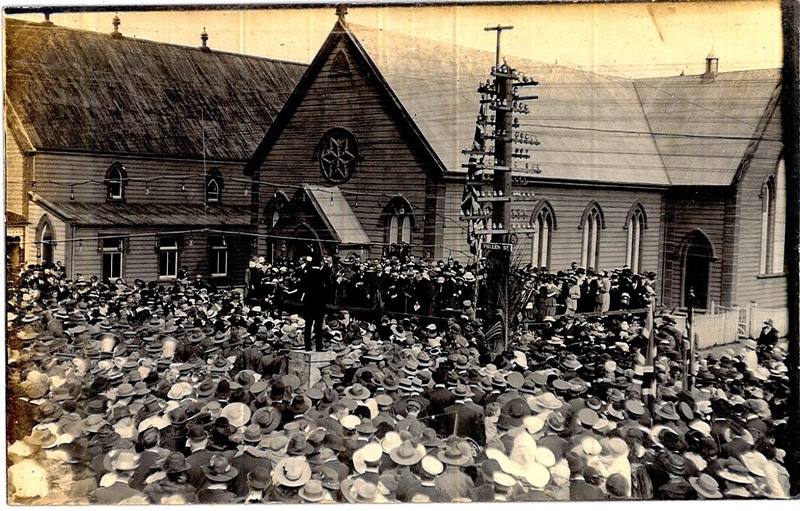 Above: Boy pupils at the hoisting of the flag, Waiokaraka School, Auckland Goldfields. Below: Goldfields school girls at the unfurling of the flag, Waiokaraka, Thames, Auckland. A question was posed regarding these photos above, was Thomas Isemonger the Headmaster in the photo. Although it is guesswork, we have though found a photo and obituary for Thomas. Photo left of THOMAS ISEMONGER: New Zealand Herald, 12 June 1935, Page 8. 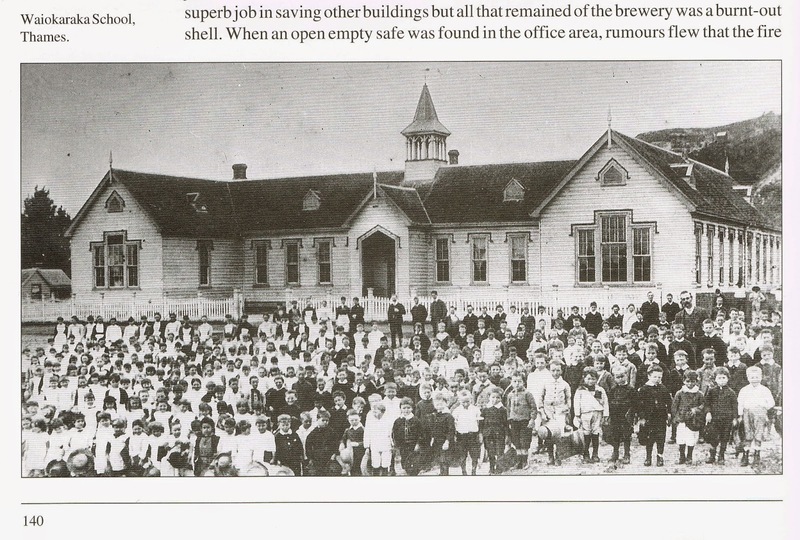 A photo of Waiokaraka School from " Thames & The Coromandel by Z & J Williams. This started as a few posts on the facebook site, but will continue as more older photos are found. The photos below are from a booklet put out c1960 by the Thames Public Relations Committee. A very positive booklet obviously designed to sell the wonders of the town. Reflecting now, it makes good reading as it is of places and people that many readers can remember. Yes they are blurred, but hope you get the idea! Thames (NZ): ADOPT A THAMESITE!